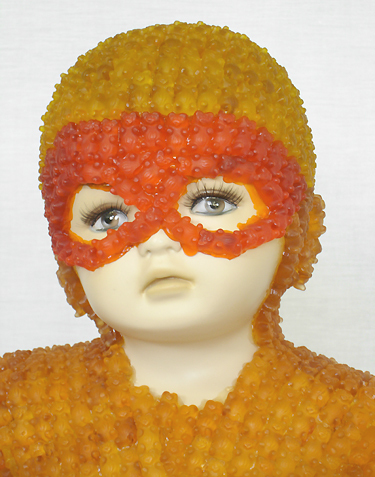 THIS CHILD IS WEARING A JUMPSUIT MADE OF GUMMI BEARS. WHO WOULD NOT WANT THIS?!?! 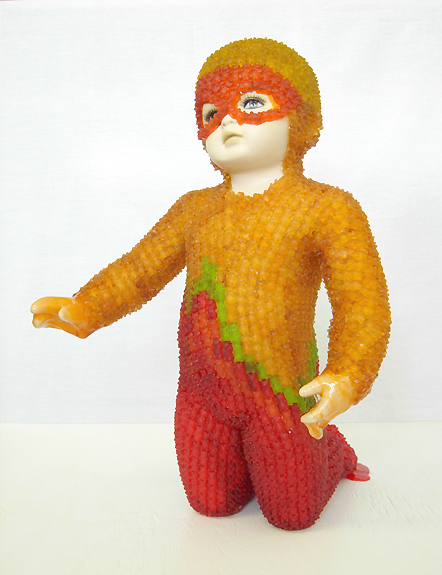 Part of a series of gummi bear sculptures by Ya Ya Chou.